A Sterling Silver, double-layered flower ring loaded with small CZ crystals, sits at the centre, bordered byYellow Gold and Rose Gold plated rings, also covered in CZ crystals. Mix and match the rings. 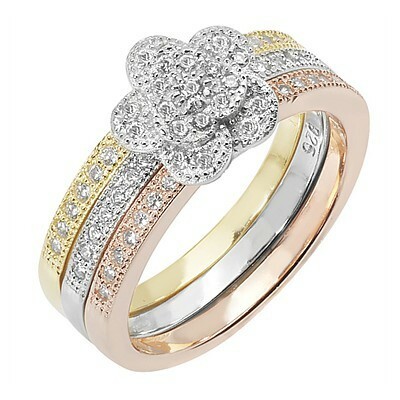 Wear the Gold rings on their own – and the silver one as a simple sparkling Flower ring.